This post from Racked NY came to our attention and I wanted to assure you that JCPenney IS going forward with its store in Manhattan Mall. The signs were taken down to accommodate construction work on the exterior of the building and will be back up soon. The interior has been undergoing repairs and remodeling. The work to finish it out into a beautiful new JCPenney store will begin in the next couple of months. 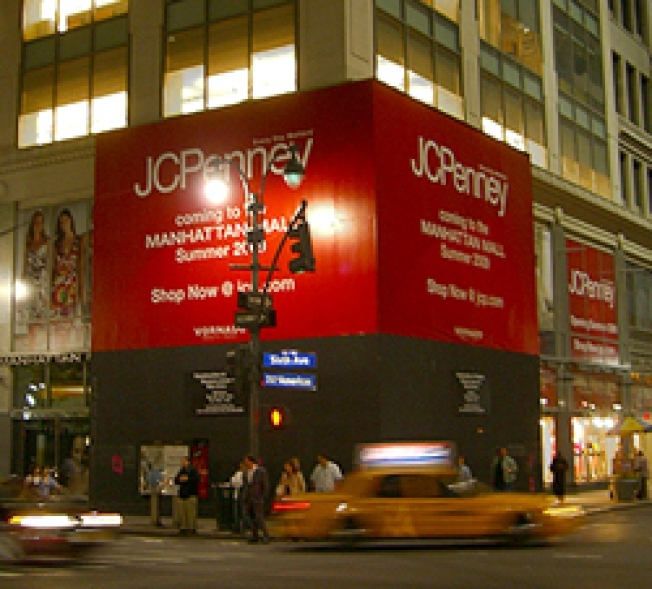 So look forward to new JCPenney signage and maybe even a real store in the next six months or so. Charlotte Ronson's JCP diffusion line will launch well before the location opens, though, so have a backup purchase plan ready.